To the Chinese, Jade is more valuable and precious than gold, only the Emperor and his court was allowed to own any. Thankfully Mother Nature has given everyone an opportunity to enjoy the color of this beautiful mineral. 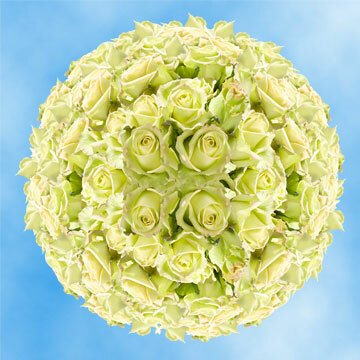 The Jade Rose is a lovely Green Rose that will make your next event will have everyone feeling like royalty. This bud is very special because not only is it perfect for weddings and birthdays parties but also for St. Patrick's Day festivities. They have always symbolized wealth, fertility, and abundance. Do you have a friend who is expecting? 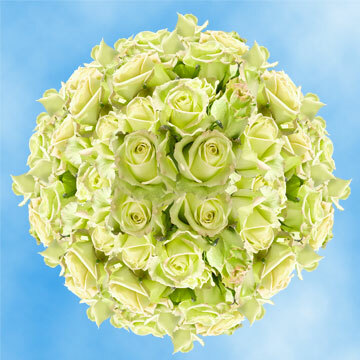 Decorate her baby shower with Green Rose bouquets. Not only are these beautiful blossoms but also are our growing procedures. 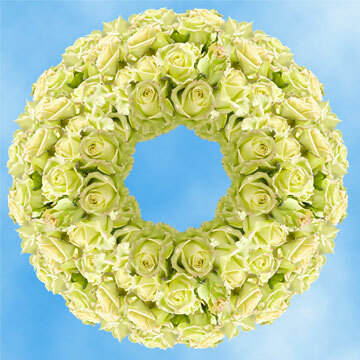 We use only the most modern techniques and advanced methods to consistently produced amazing florets. We grow our all year round so you can enjoy all year availability. 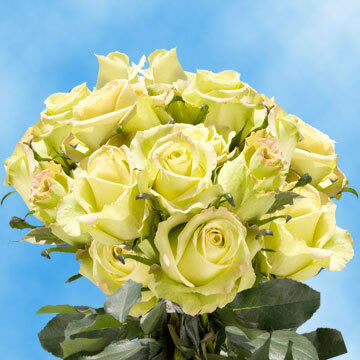 When you are in need of flowers, globalrose.com will be standing by. We provide free shipping through FedEx because we know they will do everything to get your orders where you need them when you need them. Also, shipping is free for those customers who live in the continental USA. 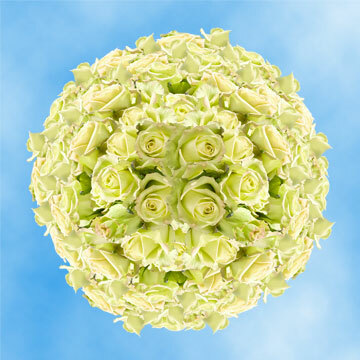 You can bet on that your blossoms will arrive fresh and ready to be put into a vase or any floral arrangement. 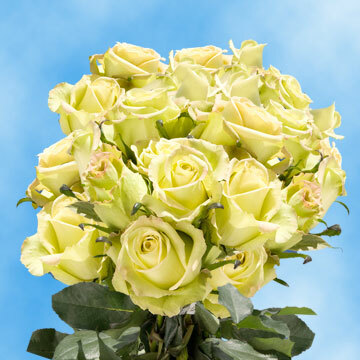 Your florets will come in a closed bud state and will only need two to three days to fully blossom into a wondrous bell shape.